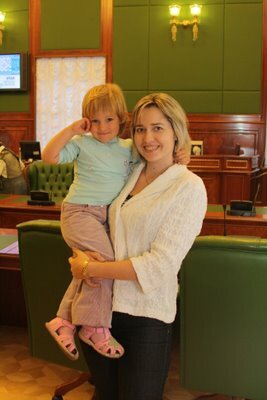 I'm glad to introduce to you another woman chess star - Natalia Zhukova. 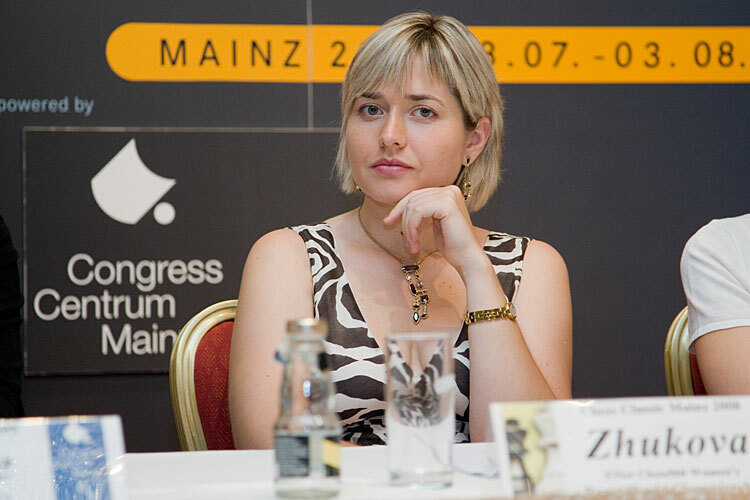 Natalia has been the leader of Ukraine's Women Chess Team for many years, thank to her wonderful perfomance on the first board at the Turin Chess Olympiad, Ukraine got its Gold Chess Olympiad Medal in 2006. I remember the first time I met Natalia over the board, it was in 1998, I was only 14 years old and even though Natalia was only 5 years older than me, I was so impressed by Natalia's self-confidence and power that even though I tried to resist I lost that game. We met with Natalia several times over the board after that and every time we created very exciting and spectacular games. It's a double pleasure for me to speak about Natalia today because our daugthers were born just a few months apart. Natalia's daughter - Maria (or Masha for short) was born in February 2007, while my daugther was born in April 2007, so now apart from being chess competitors we both are mothers and enjoy this very much. What is your place and date of birth? I was born in Dresden, Germany, on May 5, 1979. When I was 7 years old my dad went with me to a chess club, he thought that at this age a child should be occupied by something and chess was a good hobby to try. 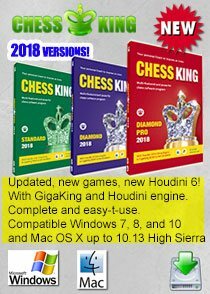 What are your main achievements in chess? I was an Olympiad champion playing for the National team of Ukraine in Turin in 2006. With my team I took silver in the 2008 Olympiad in Dresden. I also won various prestigious women's tournaments. What has been your peak rating? 2490 on January 1st, 2009. 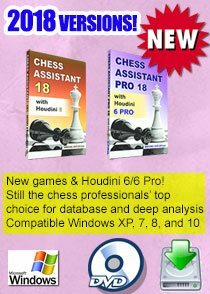 Do you consider yourself a professional chess player? I wish I could call myself a professional chess player, but I'm afraid after the birth of my daugther (she's a little over 2 years old) I don't spend enough time studying chess. How often do you study chess? How many hours a day? Normally I study chess when I play tournaments and prepare for the games. 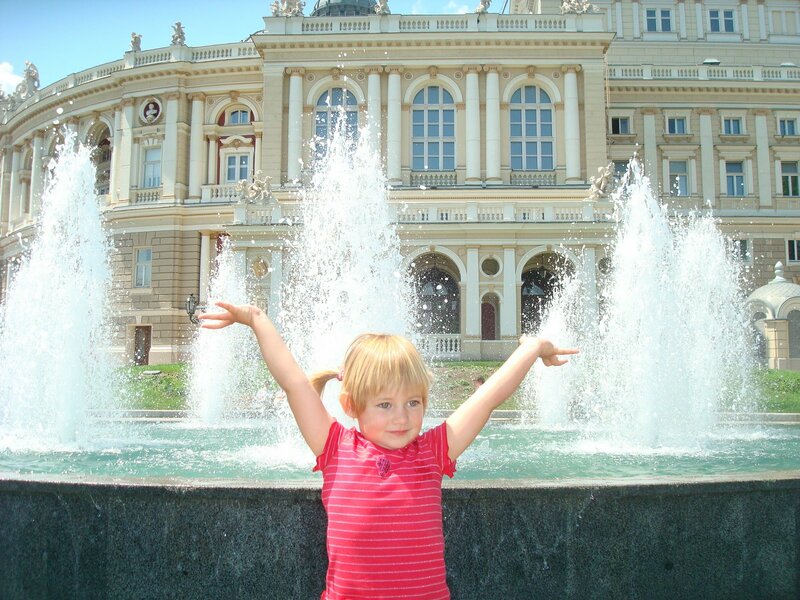 At home, I don't have a regular schedule because I have to devote a lot of time to my daughter. 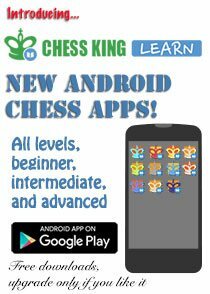 Do you have a chess trainer or you study chess by yourself? I don't have a trainer but I have my beloved husband who will never refuse to give me a "professional recommendation". You have a 2-year old daughter Masha, will you teach her to play chess? My husband and I don't want to tell Masha to play chess professionally, although she already knows the names of the chess pieces. We prefer other kind of sports such as, for example, tennis. 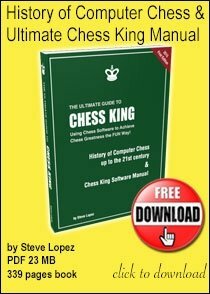 What is your favorite chess book? "My system" by Aaron Nimtzovich. Whom do you consider the best chess player in history? I think it's Garry Kasparov. What is the best game you have ever played? I'm not sure about "the best game" but I really like my game against V. Arbakov that I played in 1994. I was only 15 years old and despite this young age I created a very high quality game. What do you like doing besides playing chess? The last two years I've been very happy to be a mother. Before the birth of my daugther I really liked travelling. In the winter I liked to go mountain skiing, in the summer I liked swimming in the sea. Do you believe in the future of women’s chess? If I didn't believe in it I would stop playing. I'm not sure exactly, but it's a country where the goverment supports chess and our game is popular among people. A few years ago I would have said without any doubt that it is Yugoslavia (even the biggest playing halls weren't able to accomodate all the chess fans). Even now, as far as I know, Serbia one of the few countries in the world where chess is supported on the same level with the olympic sports and for their past achievements GM's get very decent grants. What is the best organized women’s tournament you took part in? The tournaments of Krasnoturinsk (the North Ural Cup tournaments) had very nice organization, unfortunately the prize fund was not as good as the organization. What is your dream in chess? I would like to see chess as popular as let's say tennis. What is your favorite chess piece? The city by the Black sea where I live - Odessa. Any fish except red ones. 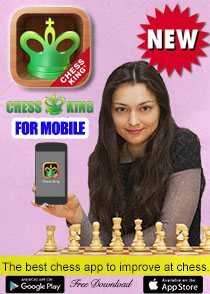 What do you think we should do in order to make women’s chess more attractive to the media? We have to have a professional marketing and PR, without it all our suggestions would be meaningless. Your husband – Alexander Grischuk, is one of the strongest chess players in the world. 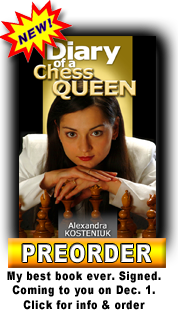 What is the main difference that you see between top women studying and playing chess and top men chess players? They work deeper and more regulary on chess and often they exchange different information and ideas between each other, even when they don't work together. 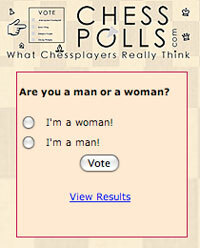 While female chess players would never say a thing nor help in any way another woman. Also women , contrary to men, for some reason don't analyze games together, despite the fact that it's very useful. You’ve been representing quite successfully the national team of Ukraine. You are also married to a Russian, have you ever thought about changing federation and playing for Russia? Do you think changes of federations should be allowed by FIDE or the rules should be stricter? I did not change federation when I was young and talented and, believe me, I've had many tempting offers, so my marriage now is not a reason to change federations for me. Of course we have very poor financial support in Ukraine: the national championships have been organized very poorly; the federation didn't pay us for the silver medals in Dresden. But is that a reason to betray your own country? :-) I think, that FIDE should have stricter rules for changing federations. For example in soccer one club pays a big transfer fee to another club if a player decides to change clubs. The same thing here, if one federation put all its efforts, its soul and money in raising a strong player, it's not correct if after all these efforts another federation gets this player for free. I think it's not fair. I like a patriotism of Natalia. I like Natalia and hope she gets the regular GM title soon :)!! She lives in Odessa. Her husband lives in Moscow. Very strange family. Sometimes young players, even titled ones, change Federation precisely because they are not offered opportunities to get better or they are not among the favourites of their own Federation, they get no support and are even prevented to play international tournaments (some Federations decide who can play the European or Youth Championships, for example). Should it be made harder for those players to seek more or better opportunities to fulfill their potential and to try to achieve their dreams? Hardly. 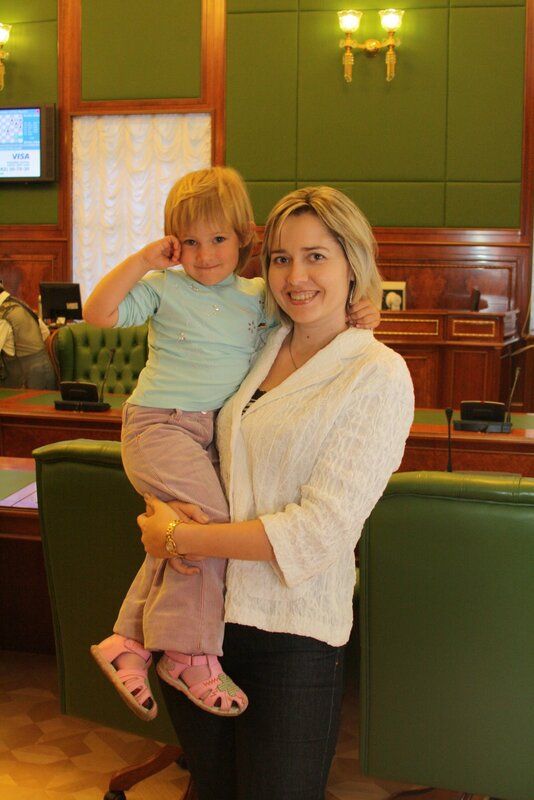 It is difficult not to love Natalia and her values, but she comes for a cash stripped nation with, however, strong chess traditions in which she could flourish. For many youngsters the opportunities are far more limited and a change of Federation may enhance them.